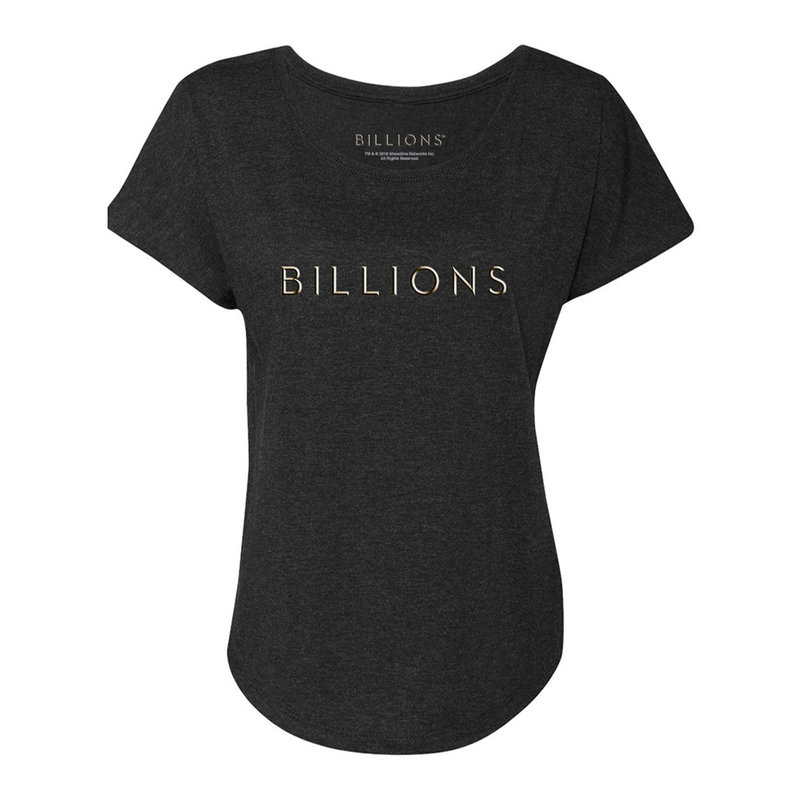 Get the Billions Gold Logo Women's Dolman T-Shirt to welcome back this season of Billions. This dolman t-shirt is great for any fan of the show. I LOVE this shirt! The cotton is so soft &amp; comfortable and because of this, I especially love wearing it when I fly. Can’t get thru an airport without someone commenting on it and the show! I’ve bought several in this BILLIONS style as well as the Axe Cap male and female styles for my family for Christmas, and I’ve already re-ordered for upcoming birthdays! These shirts are truly the perfect gifts. Everyone loves them!